It is with great pride that we now offer a limited edition challenge coin for the 2016 Lend-Lease. These 1.75" (44.5mm) metal antique silver coins feature the site logo and motto on one side of the coin, while the other side features a map of the Czech Republic in it's national colors on the other. The text reads "NON MULTI SED MULTA" and "Lend-Lease 2015". ""NON MULTI SED MULTA" translates to "Not many, but much" and is the motto of the No. 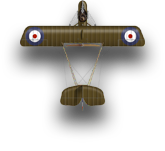 312 (Czechoslovak) Squadron RAF. The motto was selected by our Lend-Lease participant, Dan-Sam. All proceeds go to cover expenses for the Lend-Lease program and running events at Origins Game Fair. Oiled the hinges on the lockbox under the hearthstone. Keith: you can just bring them to Origins for me? The moths were a bit surprised. They thought they could snuggle down after Christmas. Order on the way, moths too slow PAYPAL faster. No moths in my wallet - no money, either! Shapeways saw to that on Christmas Day! Credit card to the rescue! I just grabbed copies of the previous two for Christmas, and for those of you that haven't seen them in real life I'll tell you this -- you will not be disappointed. These coins are big, hefty, and very handsome. Well worth the purchase price.